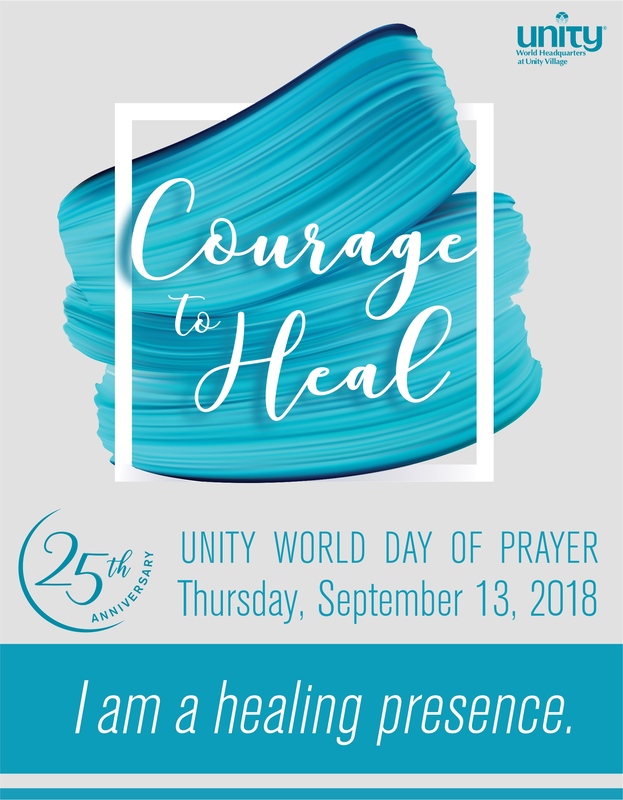 September 13, 2018, marks the 25th anniversary of the event, and thousands of individuals and communities around the world will come together to affirm and celebrate the true spiritual nature of healing. The live event will be held at Unity World Headquarters at Unity Village and broadcast to Unity and New Thought communities and homes around the world. Join us for music, prayer, and meditation as we support and strengthen our courage to heal ourselves, our communities, and our world, guided by the affirmation: I am a healing presence. Watch the Opening Service with a keynote address in the Unity Palo Alto Sanctuary or at home via live-stream at worlddayofprayer.org. Wherever you are, join us in prayer and meditation as we support and strengthen our courage to heal ourselves, our communities, and our world, guided by the affirmation: I am a healing presence. The Ministerial Prayer Room will be open on Thursday from 9:00 am – 5:00 pm. Share your list of people who you would like held in prayer during the 24-hour prayer vigil held in the Silent Unity Chapel. Following World Day of Prayer, these names will be lovingly placed in the Prayer Vigil Chapel for an additional 30 days.